Thank the lord of sound that we live in an era where big music can come from small speakers. Long gone are the days when you have to spend thousands of dollars for speakers that would take up an entire room and make your eardrums and face explode like the last scene in Raiders of the Lost Ark. Thankfully, we’ve got brands like Ultimate Ears and House of Marley absolutely killing it in the speaker game. While showing the world how to throw a dance party with something that’s literally the size of a personal pizza. We get it, you have no space to fit anything else, and even the thought of another gadget makes you want to tear your hair out. Instead, check out the fun-sized NXT Walnut Bluetooth Portable Speaker. It’s expertly crafted from bamboo to produce a pure sound. Worried you’ll knock this little guy over? You won’t. Its feet are made of strong rubber that grips your table. 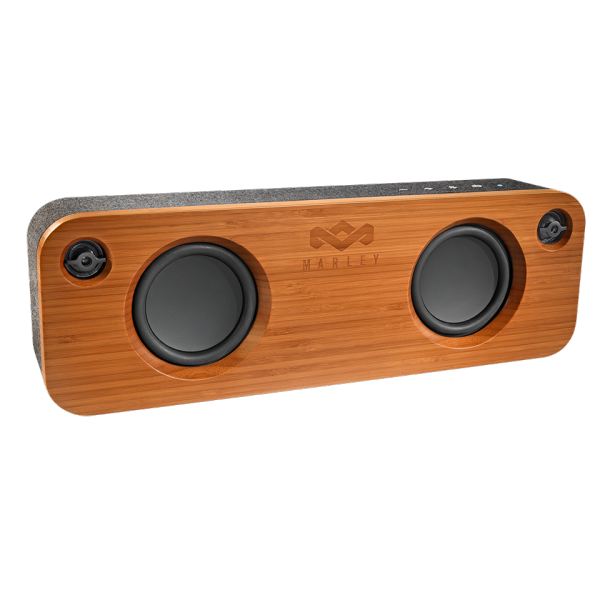 Connect to the NXT Walnut Bluetooth Portable Speaker via, yep, Bluetooth, or do it the old-fashioned way with an AUX cord. Either way, this speaker is small enough to hide anywhere, but because it’s so handsome, you’ll insist on showing it off. All for $50, too? Heck yeah. UE Boom 2 doesn’t take the word “boom” lightly. Not only is it bold, light (1.2 pounds), and tiny (2 3/4 inches wide by 7 1/8 inches tall), but it’s also Bluetooth-enabled so you can control the party from afar. On up two devices at the same time. The best part: UE Boom 2 is waterproof. So you can feel safe bringing it into the shower and singing into it while Rihanna’s “Work” amps you up before work. For the audiophiles who yearn for the classic look of a speaker infused with a modern gut, enter the House of Marley Get Together. Yes, that Marley. It’s certainly not the smallest speaker you can get (that job is for the Marley Chant Mini), but you can’t argue with the rich and deep sound that emerges from this handsome bamboo speaker. 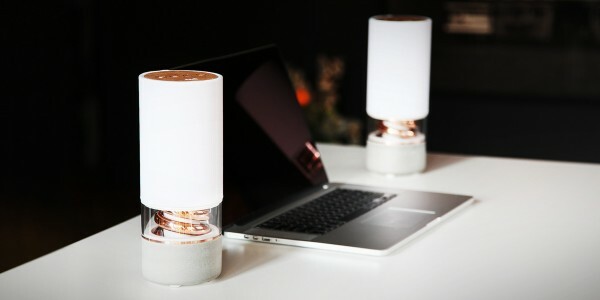 The addition of a rechargeable battery and a USB port makes this thing more than just a speaker, but rather a living part of your living room. Perfect for accident- or disaster-prone people, the Style XL has a 35-hour battery life and is waterproof and dustproof. Just in case you’re trapped on a particularly dusty desert island. Plus, it has a USB port for charging your phone. In case you want to get off said island. No wires. No WiFi. No Bluetooth. 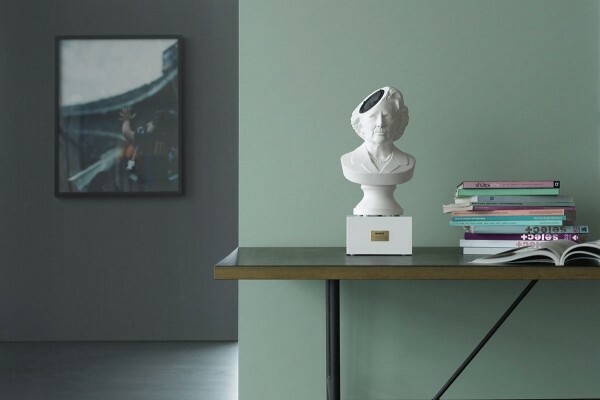 The Ovo Speaker is just a single block of Carrara marble that plays all your OVO Sounds and more. 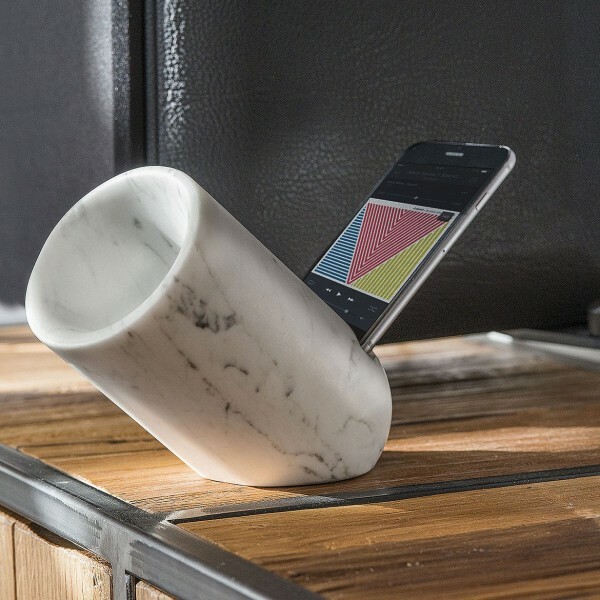 After putting your iPhone into this delicately cut marble tube, its natural shape takes over and blasts music at a mighty rate without the use of batteries or electricity. Ever look at a picture of a beach so serene that you could clearly hear the birds chirping, wind blowing, palm trees swaying, and sea flowing in your mind? Well, those soothing sounds no longer have to be a figment of your imagination. 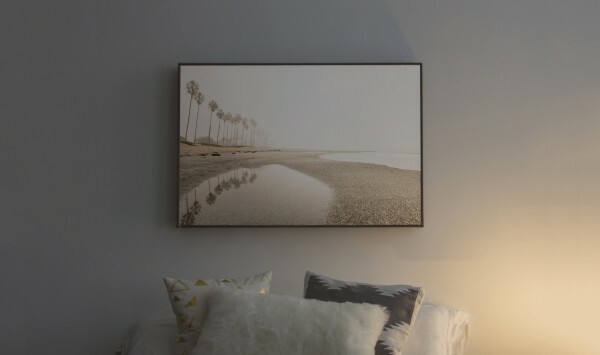 Because the Soundwall is a wall-mountable art frame and AirPlay/BubbleUPnP speaker that finally gives your paintings and photographs a voice. What do Margaret Thatcher, Kim Jong-Un, and Vladimir Putin have in common? Not that much, but Sound of Power’s Extreme Bust Speakers gives them all a common thread to share. 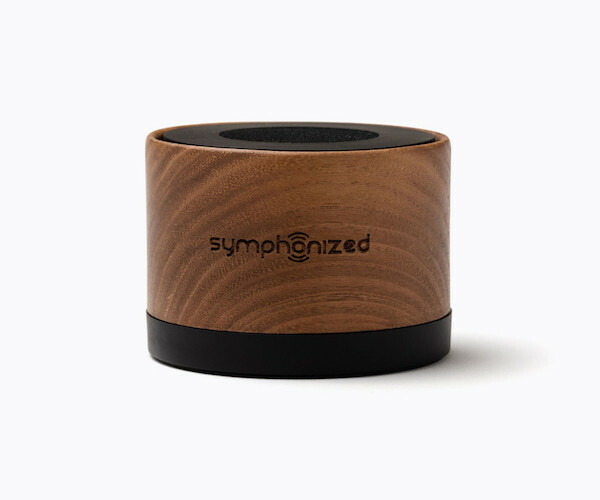 Made from a marble-like composite material and weighing in at just over two pounds, these tiny speakers come in the likeness of some of your favorite (?) public figures and offer a full sound from a small head. It’s the only reason you should have Kim Jong-Un hanging out in your home. Some sound systems make you want to stand back and say “holy ****.” Joey Roth Ceramic Speakers are a prime example. They combine porcelain, wood, metal, Bluetooth, and a 50 watt subwoofer to form one fine small-and-powerful sound system that your apartment wishes you’d buy. Wired calls them “A seamless marriage of drool-worthy design and audiophile-worthy sound,” and we couldn’t agree more. Ok so Caruso isn’t a small speaker, but consider the fact that some of the best household items have multiple uses. Caruso is Bluetooth-enabled. So you can play audio from your phone, laptop, or tablet while playing the staring game with Caruso for hours. 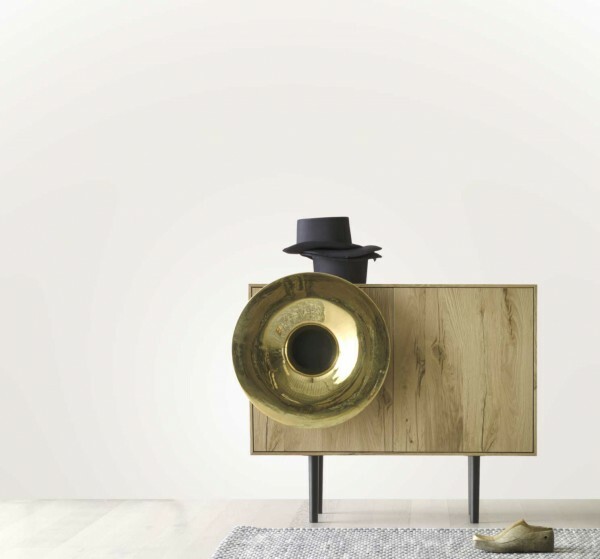 Caruso boasts a vintage ceramic or pure gold-plated horn. So you can experience monstrous decibels while paying homage to gramophones from the 70s. And Caruso comes in fine finishes like lacquered wood, canaletto walnut, and Italian oak from 1700. So you can leave home without having to worry about the speaker/credenza falling apart and breaking the dishes and glassware that you store inside of it. Ok so this isn’t a small speaker either, but what if there was a table you could eat breakfast on that just so happened to also be a speaker? Sounds like the Acoustable, a space-age polymer and concrete coffee table that doubles as a speaker. And triples as a mini dance floor for those of you who like to burn calories immediately after eating bacon. When you strip down novelty and ruggedness, you get the Pavilion, a gorgeous and portable wireless speaker that sounds as good as it looks. With its concrete base and copper spiral pipe that produces clean and warm bass, the Pavilion speaker is also a piece of art that deserves to be displayed on top of any flat horizontal surface. Except for on top of the Acoustable. Because that’d probably rupture your eardrums. Think you don’t have enough space in your place for these speakers? This article was written by Charles Adams, a Connecticut-born writer who currently resides in Brooklyn and has written for a multitude of men’s interests sites under a number of pseudonyms.